This interview with the sculptor Eva Rothschild (who will represent Ireland at the Venice Biennale in 2019) was made at a point in her development when she was introducing a wider range of materials and forms. The conversation ranges back to her earliest exhibited works, which showed her interest in social protest and the iconography of the 60s. She is among a group of 21st-century artists using sculpture as a specialised form of knowledge, and the discussion seeks to define some of what that knowledge is, while also providing specific and detailed insights into her thinking and working process as an artist, as she approached a major exhibition at South London Gallery. 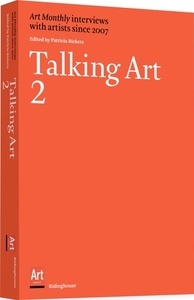 Talking Art 2: Art Monthly Interviews since 2017 (extending to 2016), is a substantial reference work: a critical selection of discussions between writers and artists that are carefully commissioned, conceived and edited as critical document of artists' thinking at crucial moments in their careers. The first book in the series was widely read and covered the entire early period of interviews from Art Monthly in the from the 1970s. 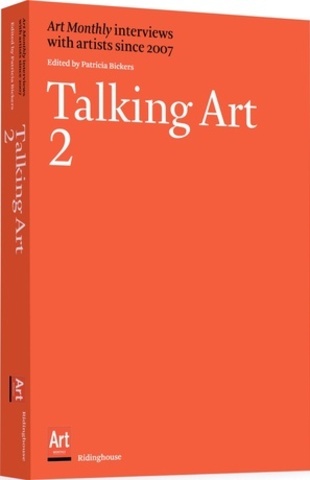 The second book is one of the most useful reference sources for 21st-century art.